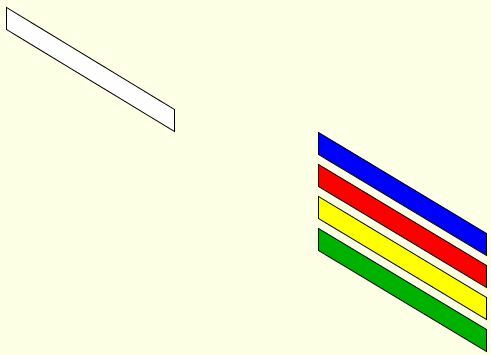 A gap between the parallelogram on the left and those on the right seem to fool they into thinking which one the right is a continuation of that on the left. The effect is more pronounces when the parallelograms are thin and short and the gap between them is small. Naturally.